Program Planning & Proposal Writing - Website of voiceconsulting! Take this unique opportunity to acquire new skills or simply brush-up on your current skills. The program planning and proposal writing workshops are designed to be a team effort and attendees are actively engaged in developing a proposal ready for submission. We offer two very distinctly different workshops. 1. Proposal Writing, The Primer - One, 4-hour session designed for the individual that just wants to acquire basic knowledge or that needs a basic refresher. This session will provide only basic details about components of proposals and changes that have occurred or are in process in the funding world. $25.00, Includes handouts. 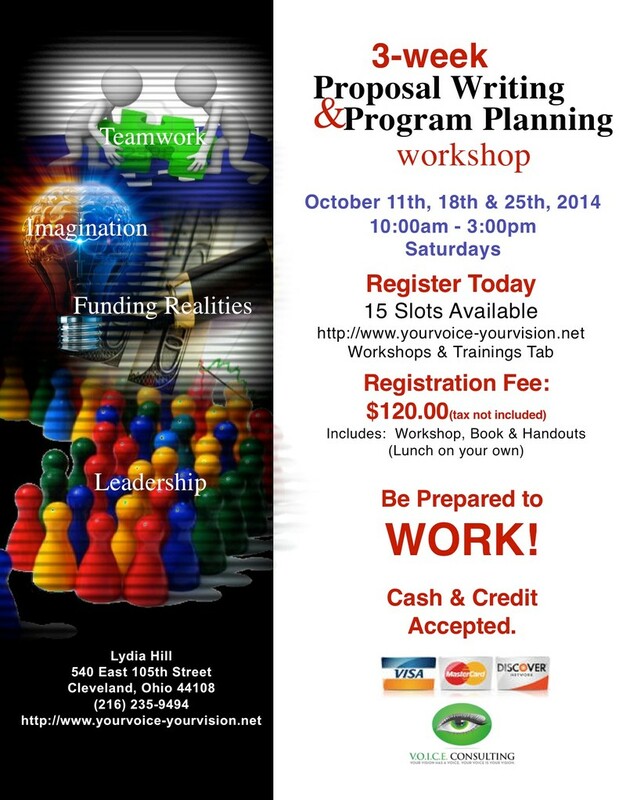 If you would like to register for this workshop, please select this item from the store and place it in your cart. ﻿2. Program Planning & Proposal Writing - Three, five hour sessions designed for individuals that really want to pursue proposal writing. This workshop provides attendees with finite details about each component of the proposal and the opportunity to craft a proposal during the three sessions. 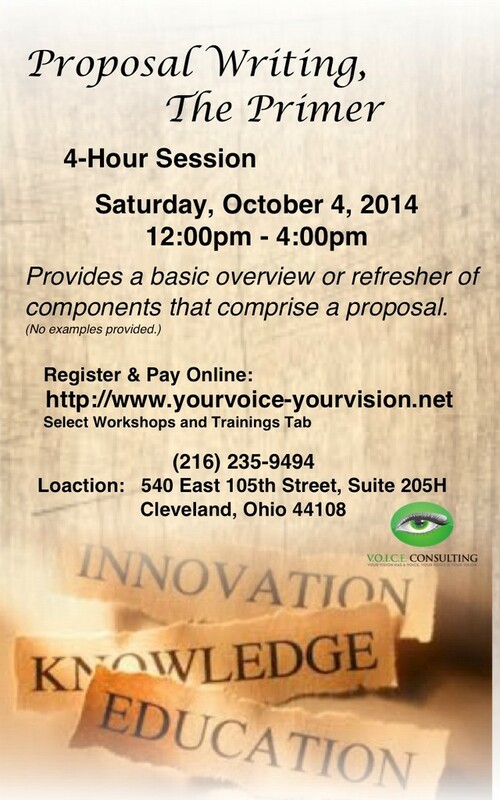 This will require attendees to spend some time outside of the workshop developing and completing concepts. 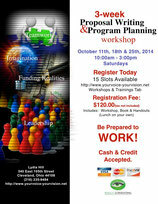 $120.00, Includes workshop materials package. Attendees that demonstrate acquired skills through the submission of a completed proposal, and complete a presentation will receive a digital badge.